• Electric – The Electric department processes all rental orders involving HMI, tungsten, cable and distribution, dimming, LED, and kino-flo florescent lighting. 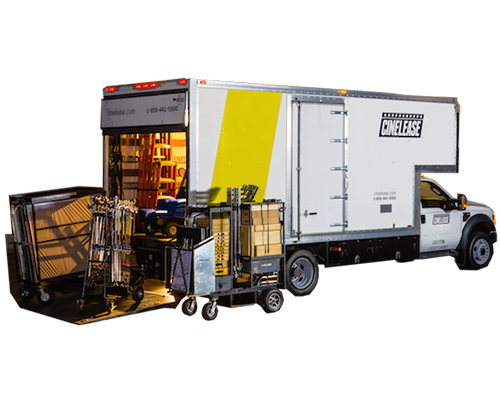 Each rental order is delegated by an experienced Foreman to a Cinelease warehouse leader. • Grip – The Grip department processes all rental orders involving grip equipment, i.e. grip stands, overheads and flags, parallels, frames, grip carts, ladders, scaffolding, pipe, iron, wood and cloth inventory. 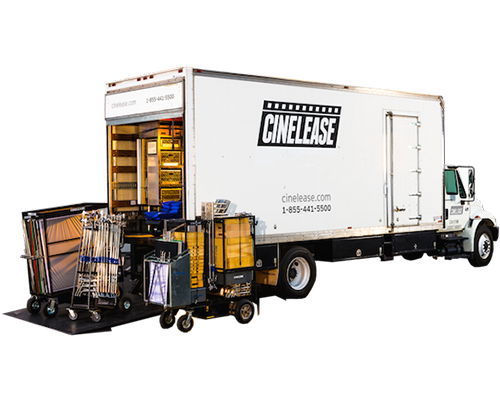 Cinelease Truck Packages are available in 10, 5, 3 and 1-ton trucks. All packages are pre-loaded or standard with options to customize and add on additional electrical equipment. At Cinelease, Inc. we constantly update and expand our stock to reflect the ever growing demands of the lighting and grip industry. In addition to our expansive stock, we also offer fully customizable truck packages to suite your production transportation needs. 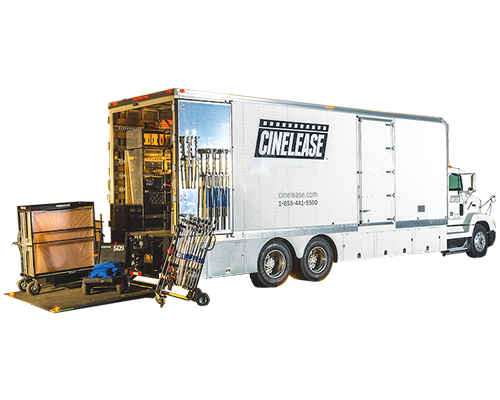 At Cinelease, you can get a standard expendable package of inventory available to production for use on their project or on an an á la carte basis. 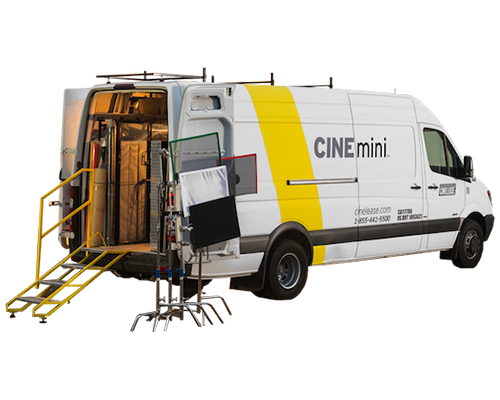 From small to large scale productions, Cinelease can help you get there.